Long term payday loans may be a better option than their short term counterparts. 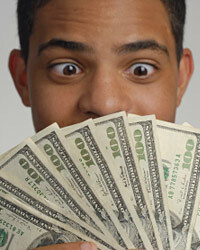 Short term loans come due very quickly, and this can often result in the inability for a borrower to pay. With a long term loan, there is more time for a borrower to recover from the immediate consequences that lead to the need for a payday loan in the first place. Long term payday loans may have higher initial interest rates than short term payday loans. However, when a borrower fails to repay a short term loan on time, the interest on the loan may compound and fees can become costly. By agreeing to the slightly higher interest rate up front, a borrower can buy more time to repay a loan correctly. This can eliminate the risk of compounding fees. Short term payday loans have one maturity date when the entire sum of the loan must be repaid. If a borrower cannot make the loan payment in full, they are in default. With a long term loan, there may be regular installments. A borrower can make these payments in small amounts. If one payment is short or late, the entire loan will not immediately result in default.